Shop for Schools is back and this year the theme is books and stories! 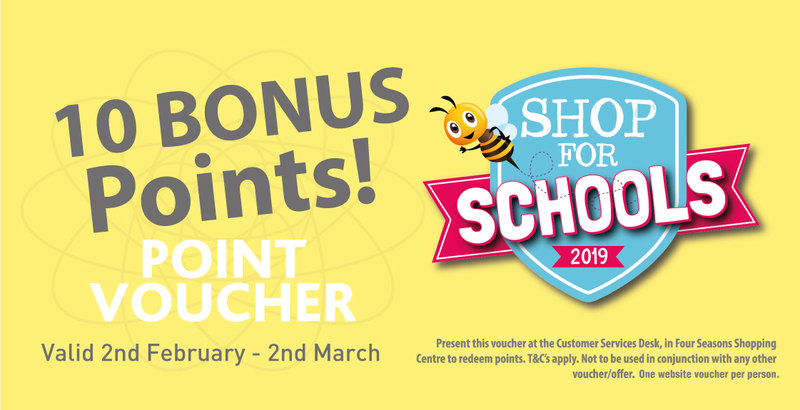 Between Saturday 2nd February and Saturday 2nd March (inclusive) you, your family and friends can earn points for the school of your choice by shopping in the Four Seasons Shopping Centre and taking your receipts to our friendly staff at the Customer Services Desk outside Debenhams. For every pound spent in any shop in the centre you will earn one point. 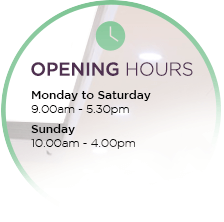 Our staff at the Customer Services Desk will stamp your receipts and present you with the equivalent points vouchers which you can post into your school’s slot in the Shops for Schools postbox. The school that has earnt the most points at the end of the promotion will be awarded with £2,500 worth of equipment from WH Smith. The runner up will receive £500 worth of equipment from WH Smith, and each of our 30 participating school will receive a special Roald Dahl book collection set too. 4. Post your points vouchers in the Four Seasons’ letterbox belonging to your school. Don’t forget that on Sundays you can earn more for your school, where BONUS POINTS are available from the Customer Service Desk. - Shop on Sundays for triple points! - Look out in the centre and on our Facebook and Twitter pages for more bonus points news! To claim your website bonus voucher, simply print out the below voucher and take it in to the Customer Service Desk in Four Seasons Shopping Centre. Only one website voucher per person can be redeemed. Good Luck everyone and happy shopping!